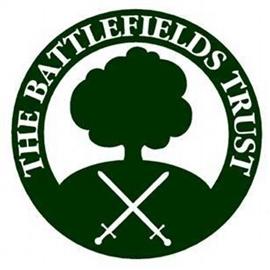 I am writing as Development Officer of the Battlefields Trust, the UK charity dedicated to the preservation, interpretation and presentation of battlefields as heritage and educational resources. The National Planning Policy Framework (NPPF), the government's guide to making planning decisions, says the benefit of development needs to be weighed against the harm to the heritage asset when making a planning decision. It is our belief that any benefits obtained in allowing this appeal would be greatly outweighed by the permanent damage it would cause to one of this country's most important historic sites. Towton is currently one of the country's best preserved and best interpreted historic battlefields. It is of immense national historic importance, being the site of what may well have been the bloodiest battle on English soil. It was a battle that had a profound impact on British history. It inspired William Shakespeare and continues to inspire today. An estimated 14,000 people from all over the country visit it annually, including school, study and adult education groups. In addition to its educational and historical value, it has considerable economic benefits - with visitors to the battlefield helping to keep two local pubs in business. The Gallops site is recognised Green Belt land and is on the very edge of the battlefield boundary as currently registered by English Heritage. The NPPF stresses the importance of avoiding damage to the setting of a heritage resource and this would clearly be the case if this appeal was permitted. Furthermore, following subsequent archaeological research, English Heritage has begun a consultation process to extend the boundary at Towton to include areas including the Gallops. I would like to end by restating the key point that any benefit obtained by permitting this appeal would be far outweighed by the permanent damage it would cause to this nationally important resource and urge you to reject this appeal. http://public.selby.gov.uk/online-applications/ and enter the reference 2014/0850/EAP. The site will ask you to register your details before you can comment but this is very easy to do. Thank you.